A woman stands facing a man. Woman: Men! 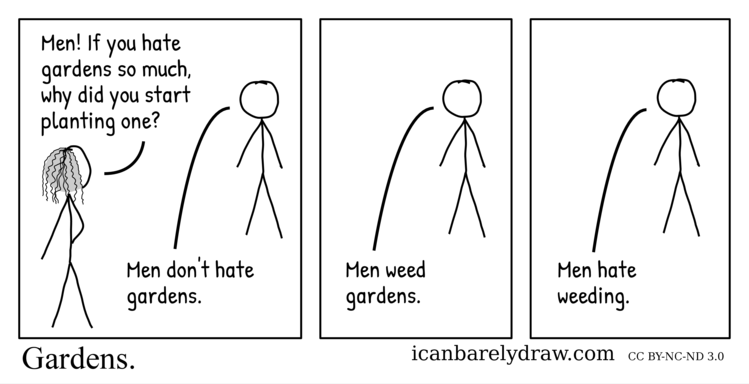 If you hate gardens so much, why did you start planting one? 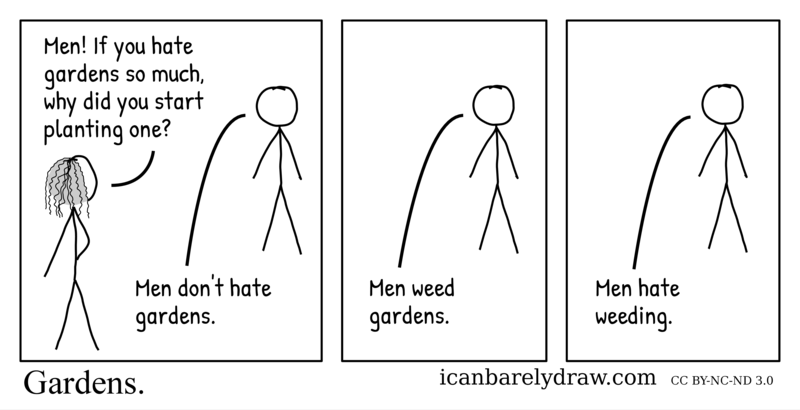 Man: Men don't hate gardens.